If you’ve read any of Isabella’s books, chances are you’ve noticed that her Christian characters refused to travel on Sundays. While others in the story may have planned a carriage ride to a pleasure garden, or a train ride to the next town to hear a famous minister preach, good Christians in Isabella’s stories didn’t go anywhere on Sunday unless they could get there on foot. 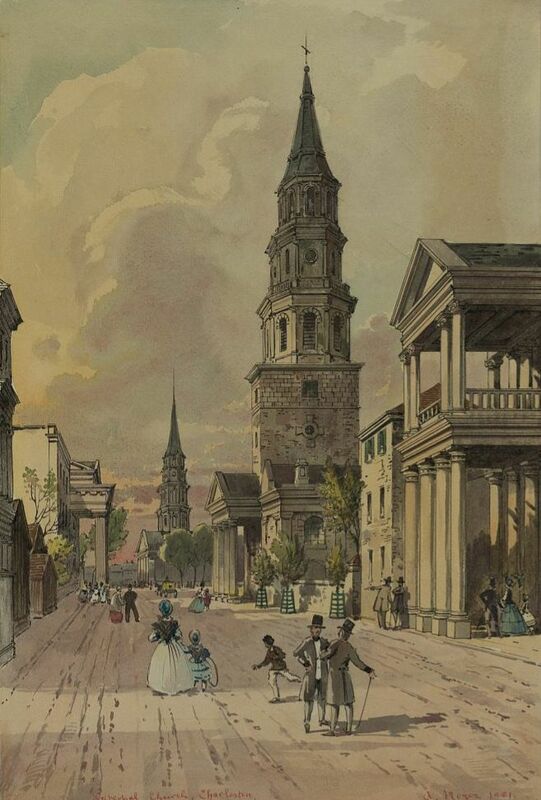 Walking to Church in Charleston, 1864. 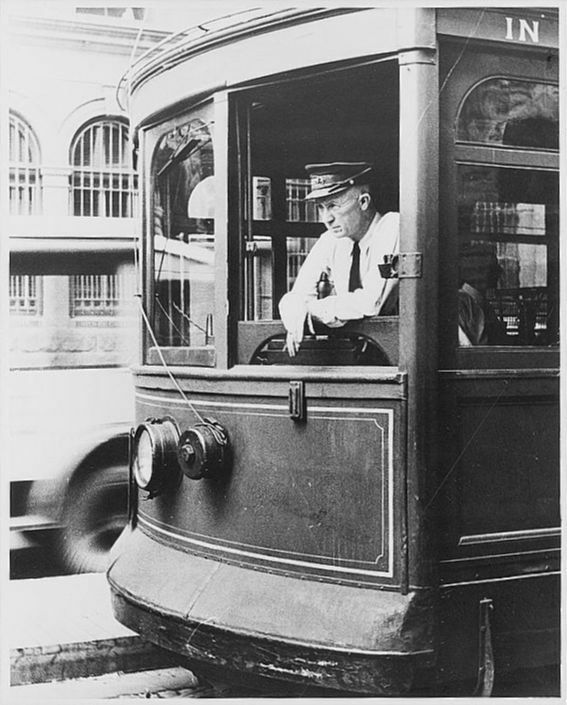 A motorman on a street-car, about 1930 (from Library of Congress). Ruth’s son voiced an argument that wasn’t new. Isabella had heard it herself many times; but she believed in the sanctity of the day of rest, and she followed her church’s direction on the proper way to observe Sundays. 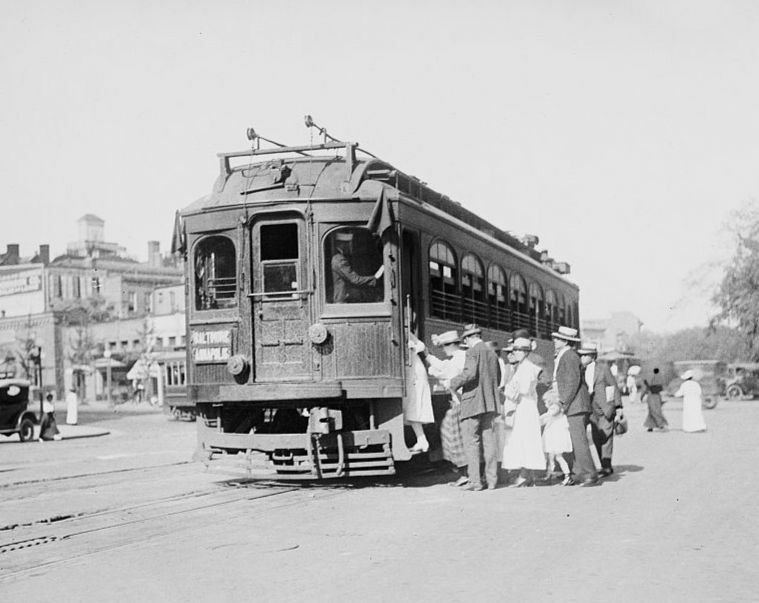 A busy street-car in 1909 (from the Library of Congress). There were similar laws in most other states. Having been raised in such an environment, Isabella’s strict observance of the Sabbath rules became second-nature to her. 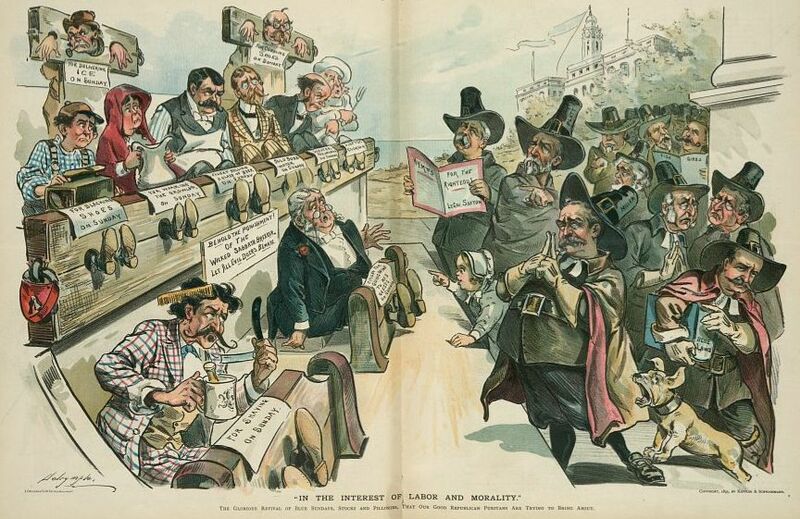 A cartoon from an 1895 issue of Puck Magazine, showing New York legislators dressed as Puritans. On the left are businessmen and women in stocks and pillories with signs of their crimes: serving guests wine on Sunday, shaving on Sunday, delivering ice on Sunday, selling a glass of beer on Sunday, and blacking shoes on Sunday. A notice states “Behold the Punishment of the Wicked Sabbath Breaker. Let All Evil Doers Beware”. 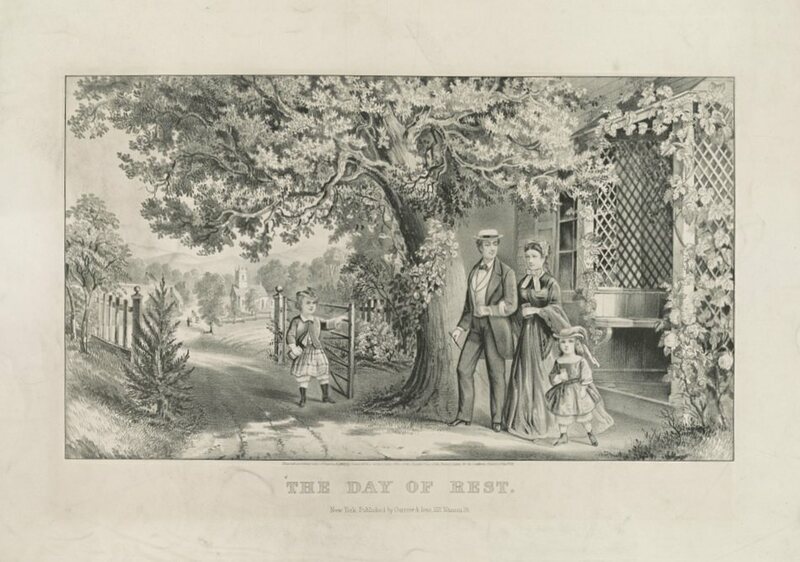 But by the end of the 19th century, the average American’s perception of Sunday had shifted. No more was Sunday a traditional day of rest; it had morphed into a day of liberty. After a long, six-day work week, people wanted to do something or go somewhere, and trains and street-cars made it possible. With street-cars, pleasure gardens and museums were only a short ride away. And a day at the sea shore was possible, thanks to an intricate network of train tracks and passenger cars that whisked people away from the hot, humid city twice a day on Sunday, and returned them safe and sound to the city in the early evening. Sunday, the Day of Rest. 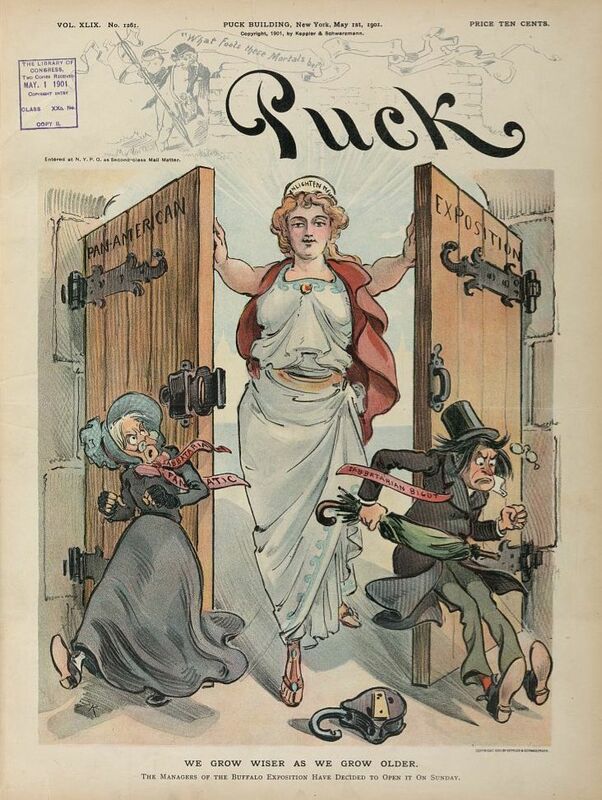 A cartoon in a 1918 edition of Puck magazine (from the Library of Congress). Cities and states soon saw the commercial benefits of allowing restaurants, theaters and other businesses to open on Sundays; and they began to quietly repeal the old Sabbath laws. Like many Christians, Isabella viewed the changes with concern. After all, America was a country founded on Christian principles. But as more and more Sabbath observances fell by the wayside, many Christians saw the change as a symptom of a bigger issue: Christianity was losing its grip as the leading religion of the country. 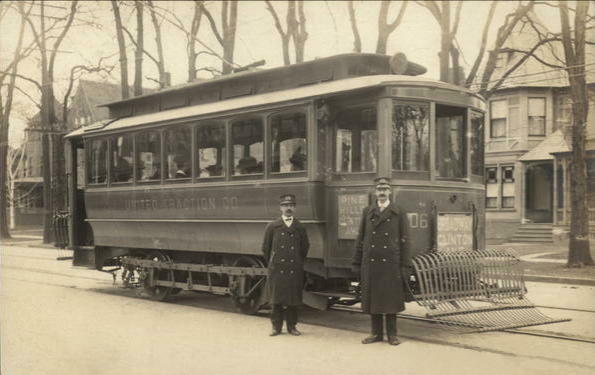 A street-car in Washington DC, 1890 (from the Library of Congress). But Christians didn’t take the changes lying down. 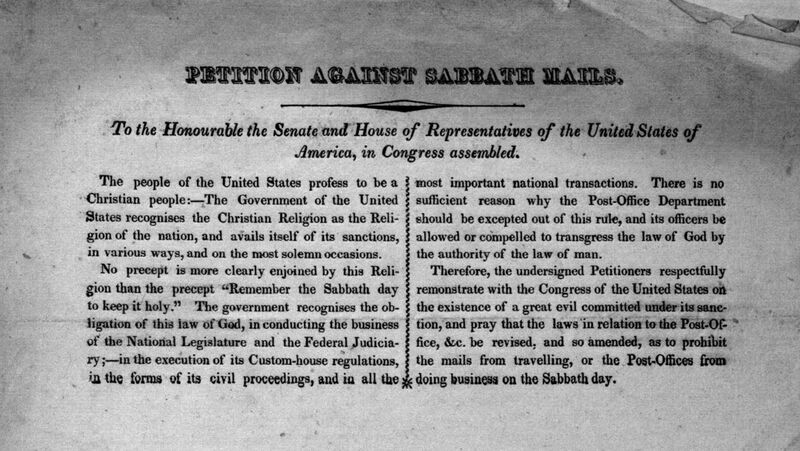 They organized and petitioned, wrote their congressmen, and fought for new laws and ordinances to protect the Sabbath, to no avail. The newspapers and magazines caught wind of their efforts and labeled them Sabbatarian Fanatics. 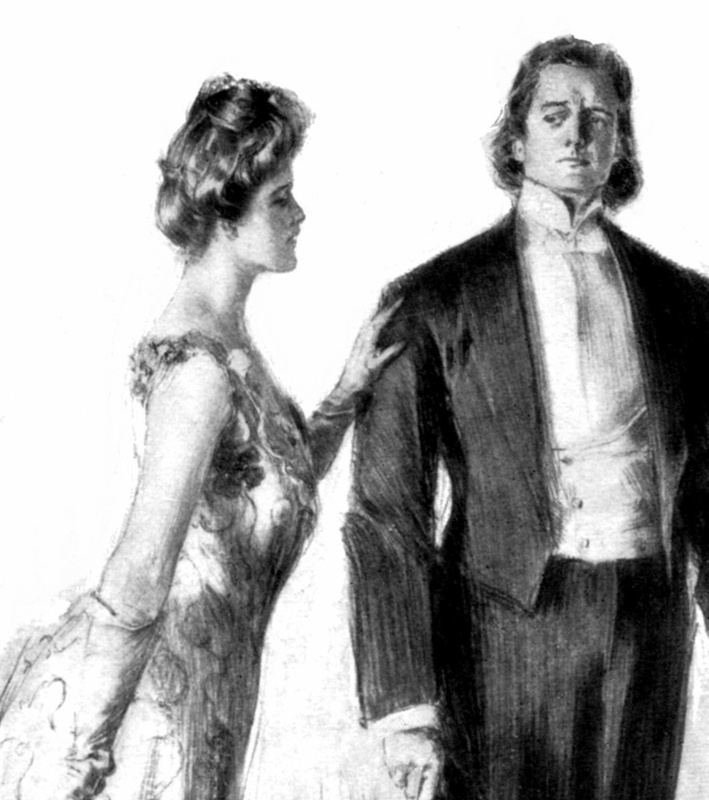 What a pity it was that so fine a woman as Mrs. Burnham should be so completely under the control of fanatical ideas! I do not quite understand how you came to be such a slave to fanaticism, Ruth; it does not seem like you. Your father had a touch of it, to be sure, but I think he must have caught it from you, since you go so far beyond him. But Isabella—like Ruth—held fast to her fundamental belief that the Sabbath should remain holy. Despite the name-calling and the opposition around her, she held to her belief that the Lord’s Day should be spent in Divine activities that celebrated her relationship with God. And that was something Isabella knew she couldn’t accomplish on a street-car. 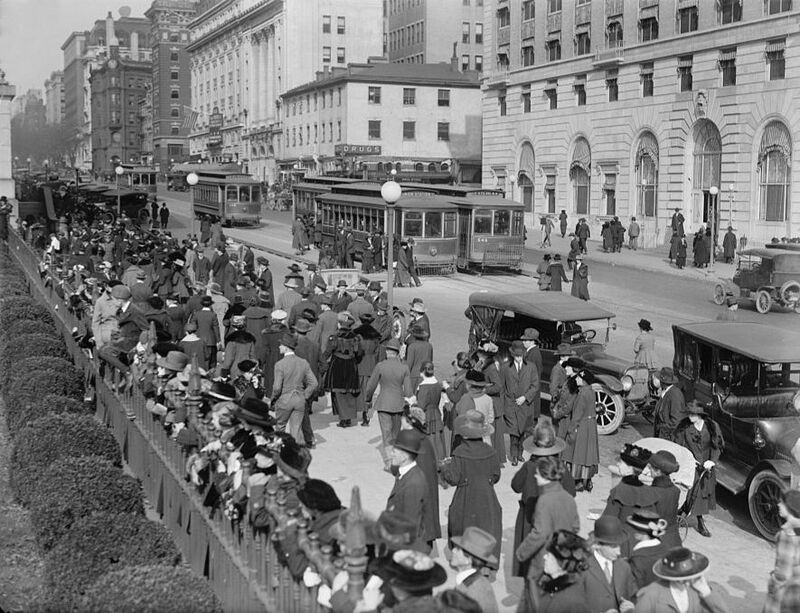 Street-car traffic in Washington DC in 1918 (from the Library of Congress). In the early 1900s Reverend R. A. Torrey compiled the works of different conservative writers into an article titled, “Why Save the Lord’s Day?” You can click here to read the complete article. Many thanks to Marie Peters who inspired this post! If you have a question about Isabella or a related topic you’d like to see explored on this blog, leave a comment here or on Facebook! In her novels, Isabella often wrote about the unique challenges of being a step-parent. In By Way of the Wilderness, Wayne Pierson saw his new step-mother as an interloper and a rival for his father’s attention, causing much heart-ache for himself and his family. 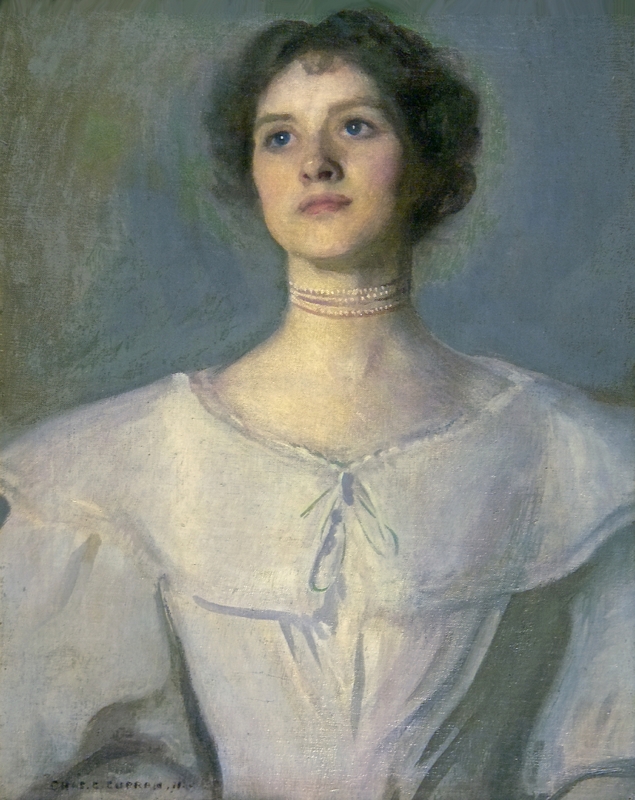 Ruth Erskine, the main character in Ruth Erskine’s Crosses, disliked her step-mother to the point of being ashamed of her; and when Ruth later married a man with two daughters of his own (in Judge Burham’s Daughters), Ruth taught her step-children proper manners, but failed to address their spiritual needs. Like all Isabella’s novels, By Way of the Wilderness and the Chautauqua Books were allegorical stories, written to convey specific messages and lessons about living the Christian life. But what many people don’t know is that Isabella was herself a step-mother. 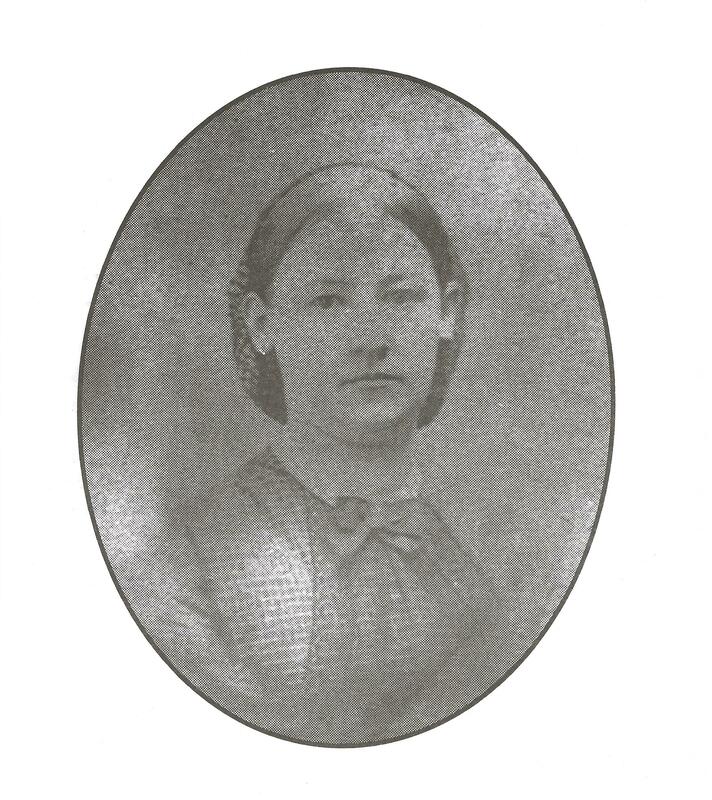 When she married Gustavus “Ross” Alden in 1866, Ross had a ten-year-old daughter from his first marriage to Hannah Bogart. Like Ross Alden’s family, Hannah’s ancestors were among the earliest emigrants to America; her ancestors arrived as far back as 1652 and settled the New Netherlands (now New York) in the time of Peter Stuyvesant. Ross and Hannah met in New York and married when they were both in their early twenties. Nine months later, little Anna Maria Alden was born. Tragically, Hannah died just two months later. 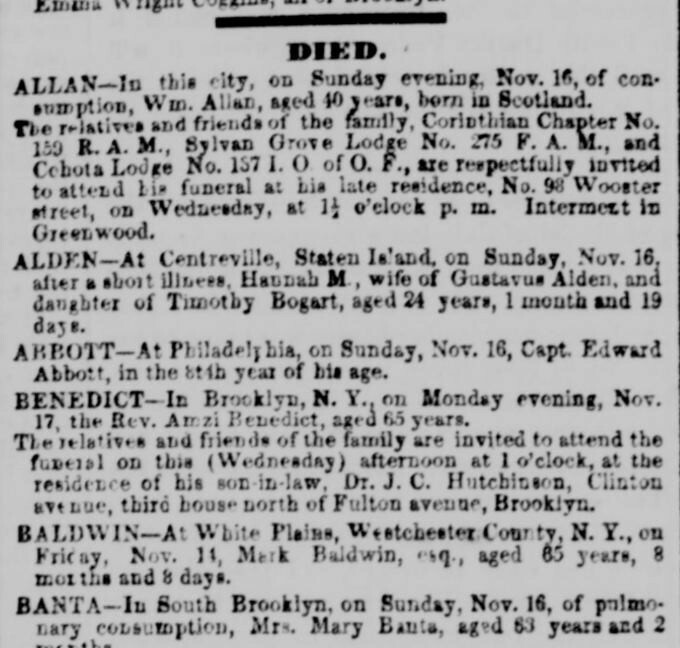 Death notice of Hannah Bogart Alden. From the New York Daily Tribune, November 19, 1856. Very few records exist to tell us how Ross coped with the daunting responsibility of raising an infant daughter after the death of his wife. We do know he stayed in New York, close to where Hannah’s family lived, and probably had much help from them. Census records show that by the time little Anna was four years old, she was living with her maternal grandparents, without Ross. St. Andrews Church, Richmond. New York. 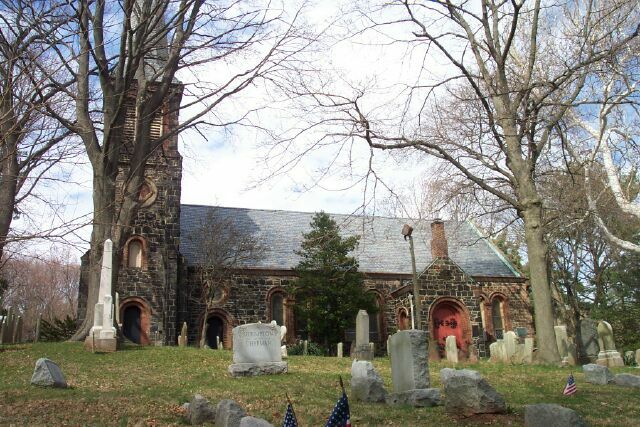 Here Hannah Bogart Alden was buried, and Ross and Anna were baptized. Three years after Hannah’s death, Ross made a decision that would influence the rest of his life. He “united with the Reformed Church in Richmond, Long Island”—the same church, which, for generations, had been the church of Hannah’s family—and he began laying the foundation for becoming a minister. Membership records from the Dutch Reformed Church of New York. Ross was baptized, and a few months later his daughter Anna was baptized in the same church. Baptism records from St. Andrews Church, Richmond, Staten Island, New York. While Anna remained with her grandparents, Ross moved 300 miles away to begin studies at Auburn Theological Seminary. There he met Isabella Macdonald, who was visiting her sister Marcia and brother-in-law, Charles Livingston, who was also a theology student. Ross and Isabella fell in love and married in 1866, the same year Ross graduated. The evening of their wedding day they boarded a train and left for Ross’s first church pastorate. None of the records about that happy and blessed day mention whether Ross’s ten-year-old daughter Anna was at the wedding. Isabella’s good friend Theodosia Toll Foster was there, though, and that may have been the occasion when Theodosia and Anna met. Theodosia had younger sisters, the youngest of whom was just about Anna’s age. Though we can’t be certain when exactly Theodosia and Anna met, but we do know that very soon after Ross and Isabella’s marriage, Anna went to live with Theodosia at the Toll homestead in Verona, New York. While Ross and Isabella led an almost itinerant life, moving from one church to another every two or three years, Anna enjoyed a very stable home life with Theodosia and her sisters. They called Anna their “truly sister” and she quickly became a much-loved and integral member of the family. When Anna was 16, she lived with Ross and Isabella in Cooperstown, New York, where they were in charge of yet another congregation. And when Ross and Isabella moved two years later to New Hartford, New York, Anna went with them … as did the entire Toll family. Theodosia, her elderly father and her younger sisters all moved to New Hartford. There Theodosia put her talents for teaching to good use. She and her sisters set up a boarding and day school, and their journals reveal that Anna helped run the enterprise. By then, Ross and Isabella had a son (two-year-old Raymond), and Isabella’s mother and sister Julia were also living with them in New Hartford. It must have been wonderful to have had their large, extended family so close together again! 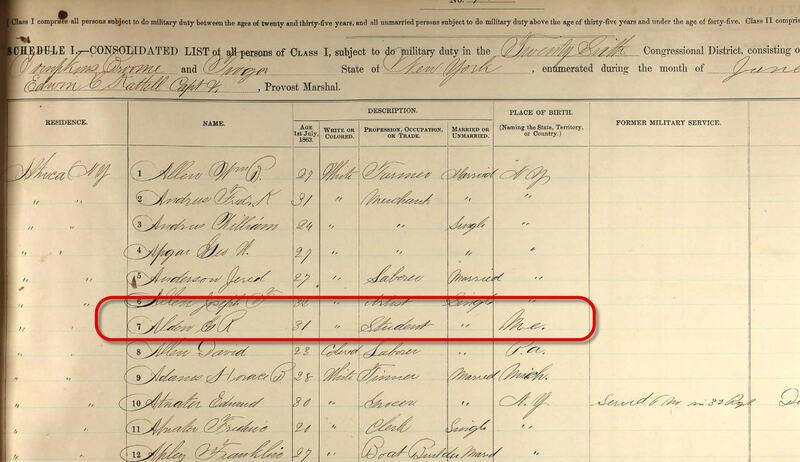 The 1875 Federal Census showing the members of the Alden household in New Hartford, New York. But their reunion didn’t last long. Within months, Ross received a call to minister at a church in Indiana. Once again he and Isabella left New York for a new city. This time, 20 year old Anna stayed behind with Theodosia. There is only one other instance recorded of Anna living with Ross and Isabella. When the 1880 Federal Census was taken, Anna was 24 years old and the Census shows her living with Ross and Isabella in Cumminsville, Ohio (a suburb of Cincinnati), where Ross had a church. That same year, Alida, the youngest of Theodosia’s sisters, wrote in her journal that she was excited over an upcoming trip to visit Anna in her Ohio home. Sometime after that visit in Cumminsville, Anna once again returned to New York to live with the Tolls. And when the Toll sisters closed their school in New Hartford and returned to their home town of Verona, New York, Anna went with them; and there she remained for the rest of her life. In Verona Anna was a long-time member of the Presbyterian Church, and she was deeply involved in church matters. Friends described her as “a consistent Christian woman” who “won the sincere love and respect of all who knew her. 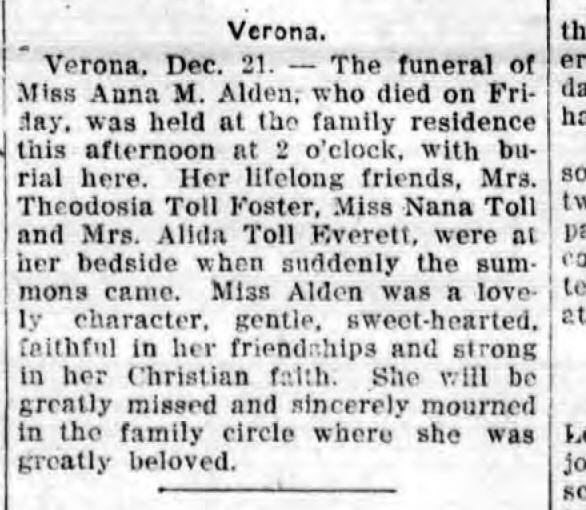 Obituary of Anna Alden. From the Rome Daily Sentinel, December 21, 1914. Unfortunately for us, none of Isabella’s correspondence with Theodosia has ever been found, so we cannot know the initial reason Anna first went to live with the Toll family; but we do know, from records that do exist of her life, that no matter where Anna lived, she was very much loved by her family and community. 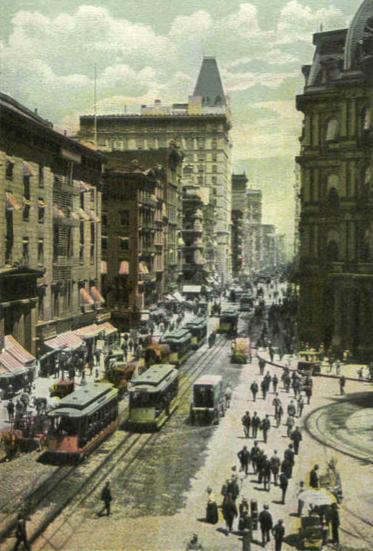 New York City looking north on Broadway in 1910. When Isabella Alden wrote about her characters “riding the cars,” she wasn’t referring to automobiles. The “cars” she wrote about were steam cars and streetcars. Steam cars were steam-engine locomotives, which ran between cities on rails. By the late 1800s, the period when most of Isabella’s stories take place, railroad stations were springing up in small towns and running across rural areas as fast as workers could lay the rails. Offices of The Herald newspaper in New York City. Like locomotives, streetcars also ran on rails, but the passenger compartments were smaller and narrower. They were typically powered by either cable-pulley systems or electricity, but early streetcars were pulled by horses. 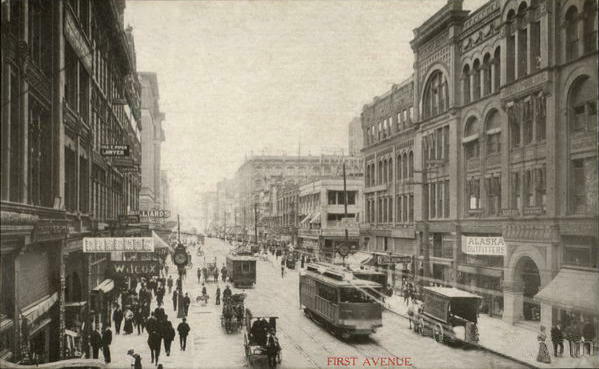 Streetcars were common forms of in-town transportation in the early 1900s. 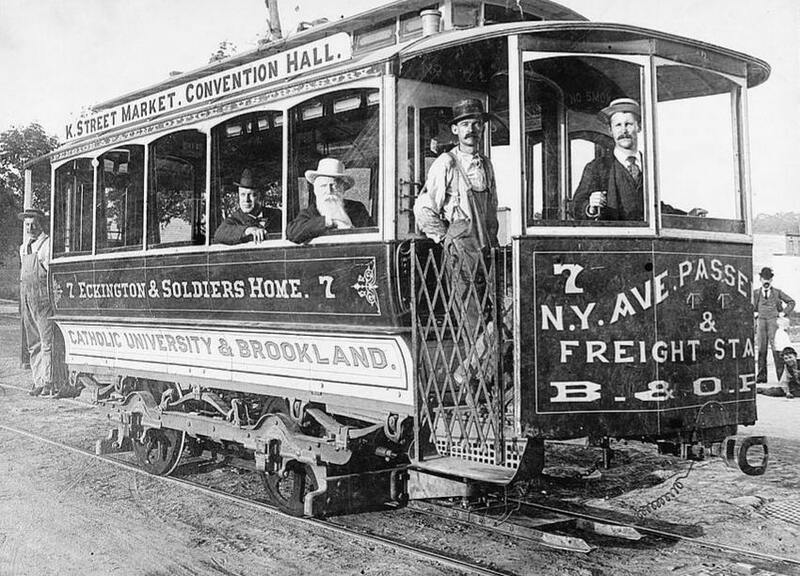 Small, mid-size, and major cities across the country had robust street-car systems to transport riders throughout a city’s major business areas and often from one end of town to another. Streetcars running on First Avenue, downtown Seattle. In Twenty Minutes Late, Caroline Bryant saw her first streetcar when she arrived in Philadelphia. Her only previous experience with riding a car was a seven-hour train trip she’d taken with her mother years before. In Philadelphia, her companion led the way to the street and lifted his hand in a peculiar manner. A man who was driving what was to Caroline the strangest-looking wagon she had ever seen, drew up his horses and the wagon came to a stand-still. It had a number of little wheels, smaller than Caroline supposed wagon wheels were ever made. Caroline was busy with one word: “car.” But there was no engine, only two horses. She had heard Miss Webster speak of them, and also Judge Dunmore, and here she was getting into one! When Twenty Minutes Late was published in 1893, horse-drawn streetcars were the norm, but by the early 1900s, streetcars became more mechanical and horse-power was replaced by cables or electricity. Main Street in Butte, Montana about 1907. Smaller cities and towns had streetcars, as well. 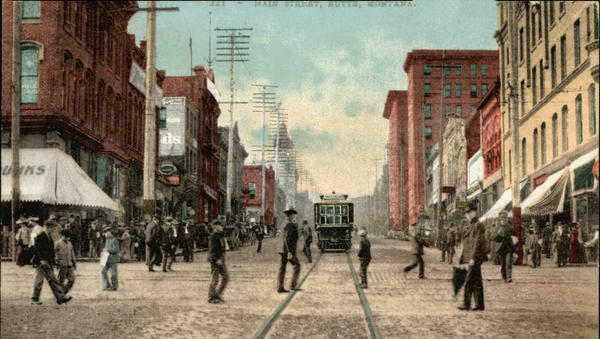 This hand-colored photo from a 1907 postcard shows a streetcar running the length of Main Street in Butte, Montana. In Judge Burnham’s Daughters, the Judge’s young son, Erskine, was very fond of riding the cars. One Sunday the Judge offered to take the family into the city to attend church at St. Paul’s, a fashionable church where the worship music was supposed to be very fine. 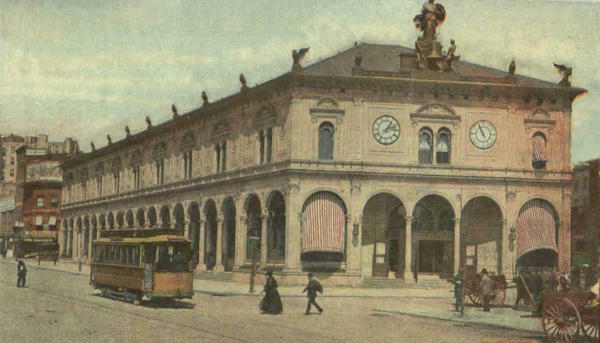 An example of a train and streetcar station. This one is in Worcester, Massachusetts. It would have been an easy trip. 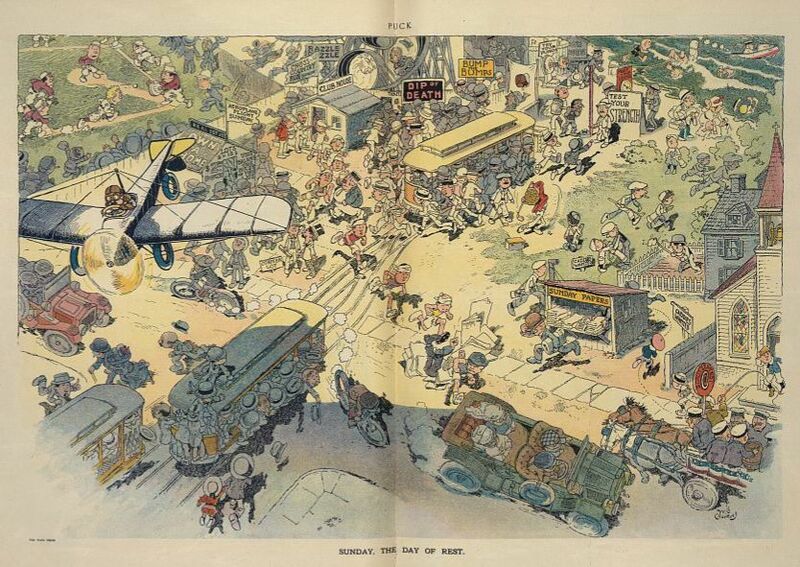 From their small town the Burnhams would have ridden a steam car into the city. 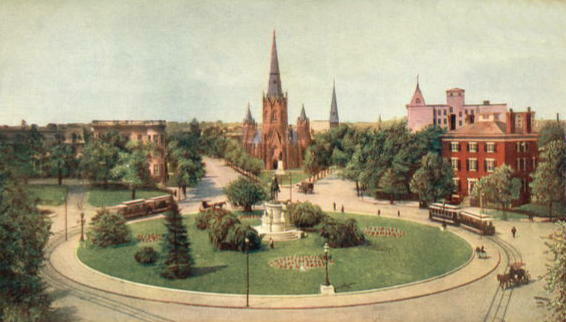 Upon arrival, they wouldn’t have had to leave the station to find a streetcar to take them to the area of town by St. Paul’s church. 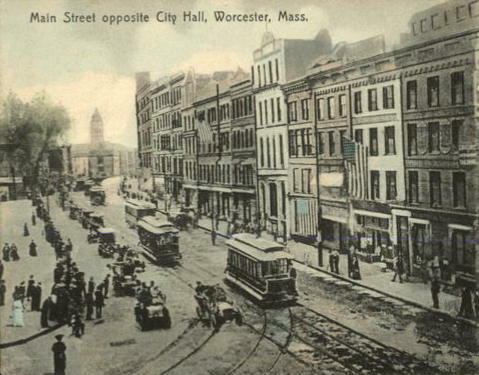 Busy Main Street in Worcester, Massachusetts, 1910. Streetcar workers in New York City. 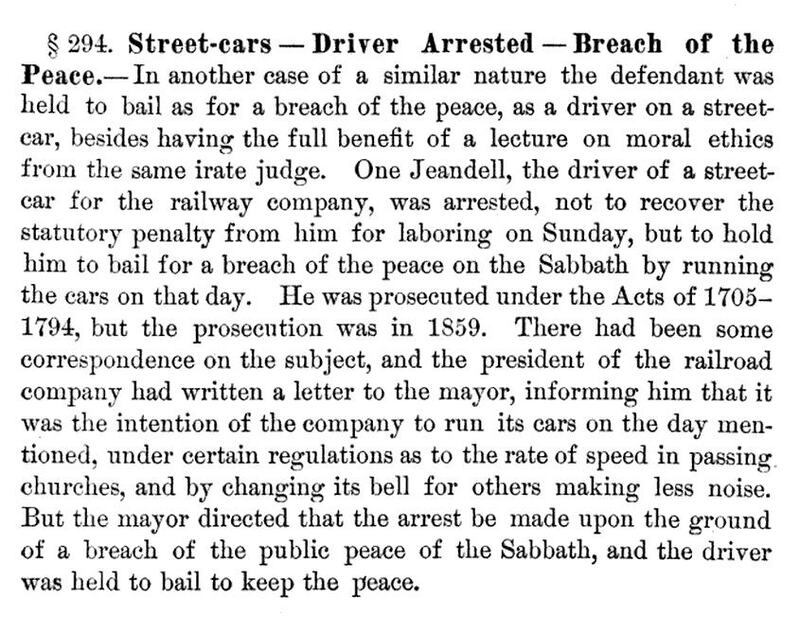 But the Judge’s wife Ruth refused to let little Erskine go because she believed it was wrong to ride the cars on the Sabbath. 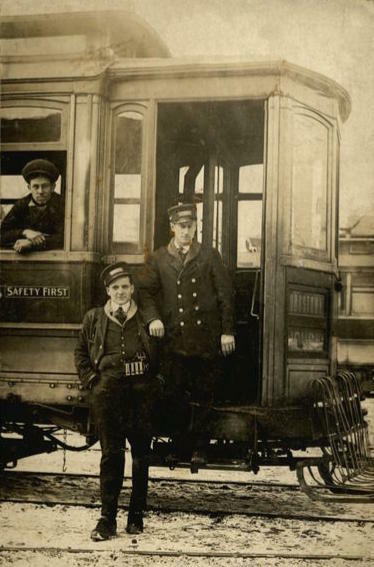 Streetcar workers in Albany, NY. In Ruth Erskine’s Son, the street-cars stopped at the corner of the Burnham’s residential street, where widowed Ruth Burnham lived with her son and his wife. 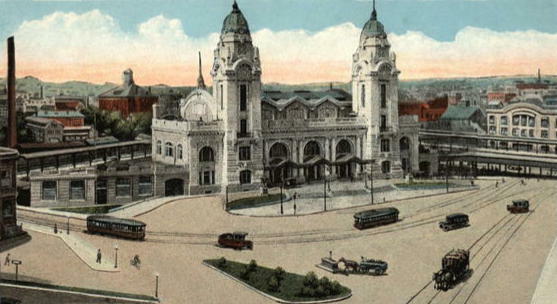 Now an adult, Erskine Burnham took the 8:00 a.m. car to his office downtown each morning just “as surely as the sun was to rise”; and every evening he returned home by streetcar to his wife and his mother. 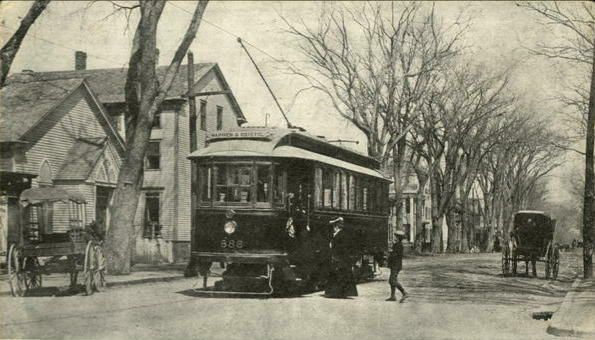 A streetcar running down a residential street in Bristol, Rhode Island. In the evenings, his doting mother, Ruth, was able to watch for Erskine’s return from her bedroom window. She leaned forward, presently, and watched Erskine’s car stop at the corner, and watched his springing step as he came with glad haste to his home. In the majority of her books, Isabella Alden’s characters rode on the cars to get to work, to escape the city for a country idyll, or simply to run errands around town. But riding the cars was a little different for women than it was for men. Watch for a future post, Ladies Riding Cars, that will explore one of the unique challenges women faced while traveling on public transportation. As for herself, she had full and abiding faith in the fact that the Christ of Galilee had lavished miracles, many and wonderful, upon that favored people eighteen hundred years ago; what she wanted was a miracle for her, today. Young man, God is speaking to you; He wants you; wants you today; wants your brains, and your strength, and your influence for Himself. Why do you wait? You know you need Him.